Millions of Australians are listening to audio books, 2.5 million to be exact and the number is growing. The data shows that adult listeners are using audio books to multi task. 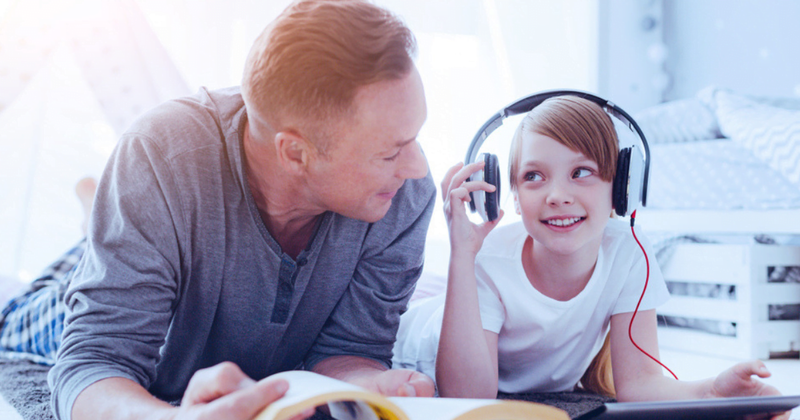 In children, we know that listening to audio books: Increases reading accuracy by 52%, improves comprehension by 76% and a combination of listening and reading increases recall 40% over print alone. However, it’s not always easy or convenient to access them. That’s where BorrowBox created by Bolinda audio comes in! BorrowBox is a library app where patrons of any library who have signed on to BorrowBox can download eAudiobooks and eBooks for free. Just as they do with hard copy books, libraries individually purchase their collections, so the range of titles will vary from library to library depending on what they purchase or the demand from their patrons. Accessing thousands of titles from your device to listen to, is easy. Simply follow the steps below and get started. Once you’ve set this up you can log in at any time and search by author or category and access other resources such as extracts or excerpts to listen to. Then simply select to borrow, download listen and enjoy!